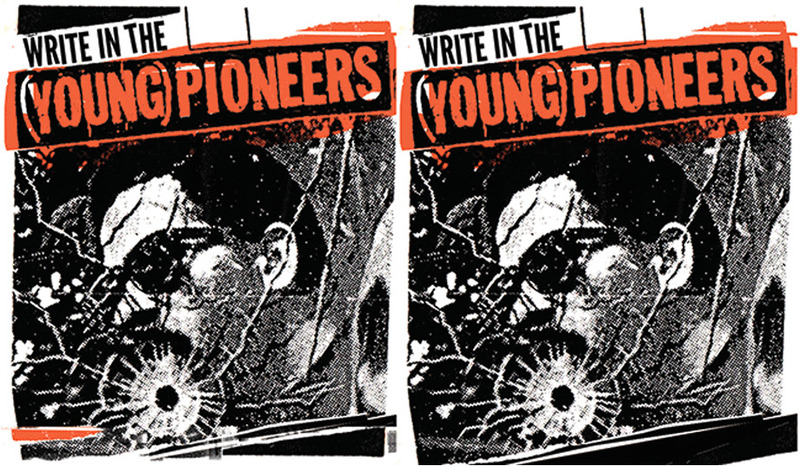 (Young) Pioneers, the political punk band active throughout the ‘90s, will be releasing a retrospective album called Write In the (Young) Pioneers on Tiger Force Ultra. The band released albums via Vermiform and Lookout Records, and featured members of Born Against, Life’s Blood, Avail and Ted Leo and the Pharmacists. The new album will feature live and studio cuts, including unreleased material and a complete 1997 radio set on KUCI. In addition to a cassette/download release limited to 100 copies, the band will be releasing an accompanying shirt as a benefit for RITA, Richmond Immigration Transit Assistance. Check out the tracklist below and pre-order your copy today!